Offering you a complete choice of products which include used rubber molding press, used rubber moulding press, hydraulic press 100x100, saspol hydraulic presses 500 ton 4000 x 500 mm, rubber press 150 ton and hydraulic presses rubber. We offer our clients an extensive range of Used Rubber Moulding Press. This press is checked by quality controllers on various quality parameters to assure flawless service. Our customers can avail this press in varied specifications according to their requirements. This press is manufactured using top quality material & sophisticated techniques. Overall dims. 140 " High x 72" x 44 " deep. We offer our clients an extensive range of Used Hydraulic Press. This press is checked by quality controllers on various quality parameters to assure flawless service. Our customers can avail this press in varied specifications according to their requirements. This press is manufactured using top quality material & sophisticated techniques. 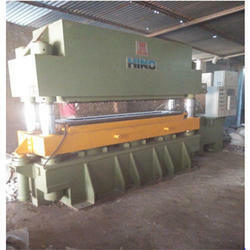 400 ton upstroke hydraulic press – unused IT IS HERE IN INDIA ONLY. No.of rams-3 0f 350 mm dia. Press was used for making slab seal joints used in Flyovers etc. Project was shelved hence only trial runs were done. 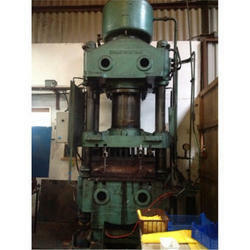 Looking for Used Hydraulic Presses ?